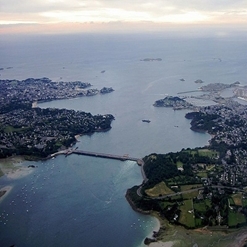 The walled city is the first and foremost tourists’ attraction of Saint Malo. Tourists can enjoy La Ville Intra-Muros by walking around on foot, paved streets and alongside the huge walls which reflects a sense of history. The structures and buildings have all been preserved awfully which looks wonderful.